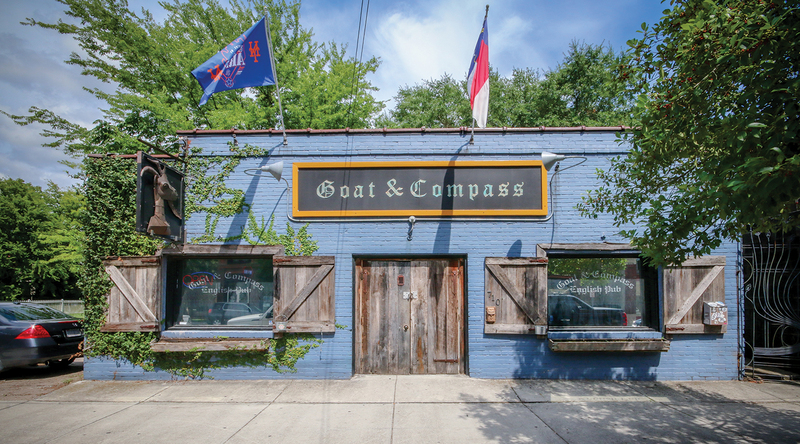 Established in 2007, the Goat & Compass is located on what was once a road less traveled by mainstream Wilmington, but word has spread making the Brooklyn Arts District and North Fourth Street a hot spot for beer connoisseurs. With 15 beers on draft (most of which were brewed right here in North Carolina), 20+ bottled and canned beers, and more than 70 spirits, they have something to please everyone. They have five TV’s with full sports packages and a beer garden with picnic tables and lounge chairs. Hourglass Studios Open Mic Night is the featured entertainment on Tuesday with live music Thursday through Saturday and local food trucks on Tuesday and Thursday nights.